Since his chart topping success in Resident Advisor’s Top 100 Most Charted Artists of 2013, Hamburg’s Sidney Charles has been developing his reputation in the worlds of house and techno with a consistent string of releases. 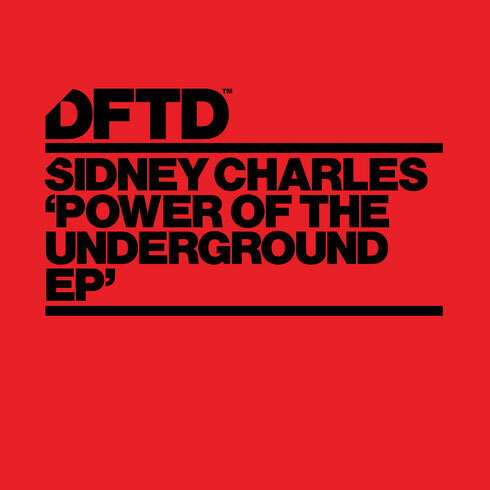 DFTD welcomes Sidney Charles to the label with the three track release ‘Power Of The Underground EP’. The classic 4/4 beat and dedicated kick drum in the title track ‘Power Of The Underground’ is a jacking recipe for dancefloor detonation. ‘The Phonograph’ has a Chicago-house rhythmic style with acidy overtones, while the raw industrial vibe of ‘Controoler’ ties the entire EP together as one that takes you on an infatuating journey within the depths of the underground. It’s out 21 September, check it out below.